New York City has had one of the longest winters since I can remember. When the sun started to shine, New Yorkers flocked all of the parks. My friends and I found ourselves in Washington Square Park, having some gelato, and people watched the rest of the afternoon. I hate wearing jeans. 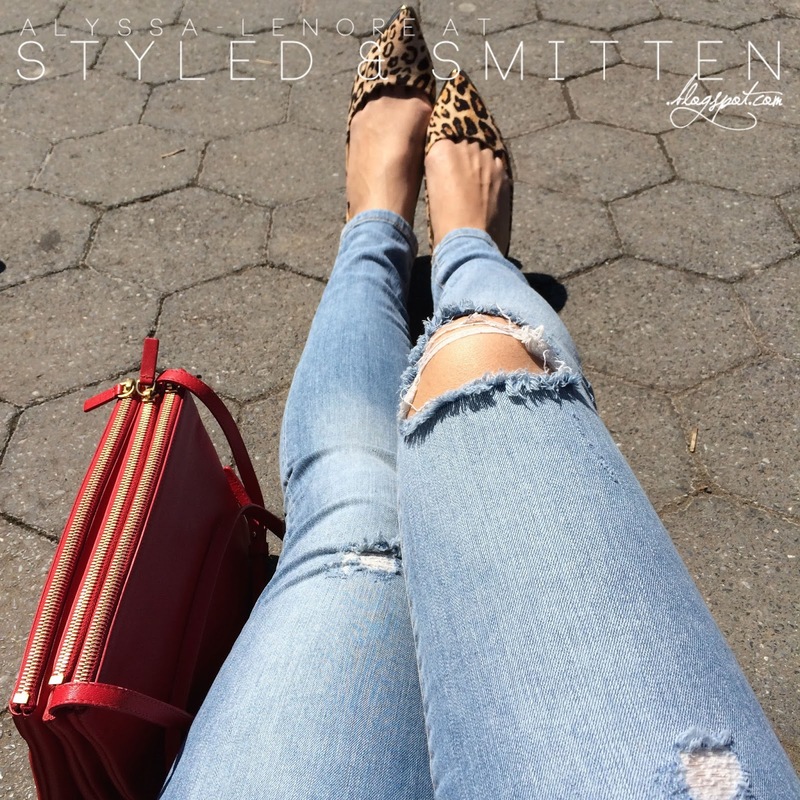 The closest thing I will wear to jeans are jeggings just because I've been spoiled by the comfort of that stretch. 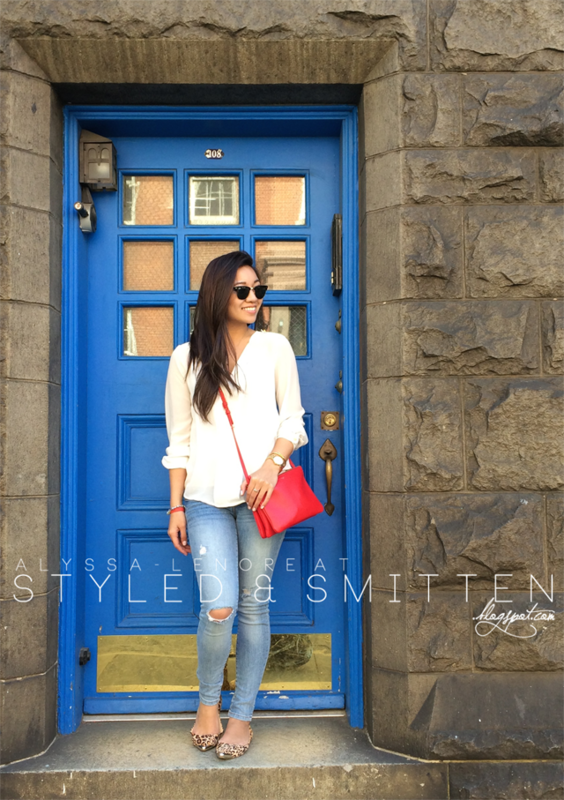 These light wash/destroyed jeggings were the perfect contrast for my large, red Celine Trio. Close to Washington Square park is Amorino Gelato. Located on 60 University Place, this cute little gelato shop is the perfect stop while taking a stroll through Greenwich Village. You can order from different sizes and they shape their gelato in the form of an ice cream. Each "petal" can be any flavor you want so the possibilities are endless! Arm party: Killdit Wristband. A lifestyle brand about owning every situation and taking every opportunity, started and created by my boyfriend's brother. My watch is the Marc By Marc Jacobs Baker 36.5mm in yellow gold. My Bangle was purchased in the Philippines. Here's a closer look at my flats. I just love a good pointed toe. These are from ZooShoo and they're actually really comfortable. 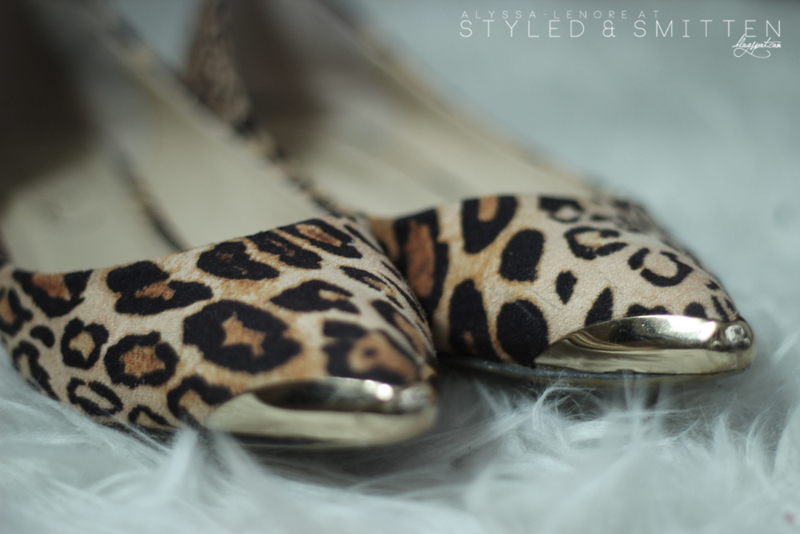 I have been looking for a pointed toe, leopard print, and metal cap shoe for the longest time. When I stumbled across this, I just knew I had to order them and hoped for the best that they would fit me right. It took a few wears to relax the shoe, but after a while, they became one of my most comfortable pairs. My top is from Forever 21, I like to wear plain white tops almost every day. 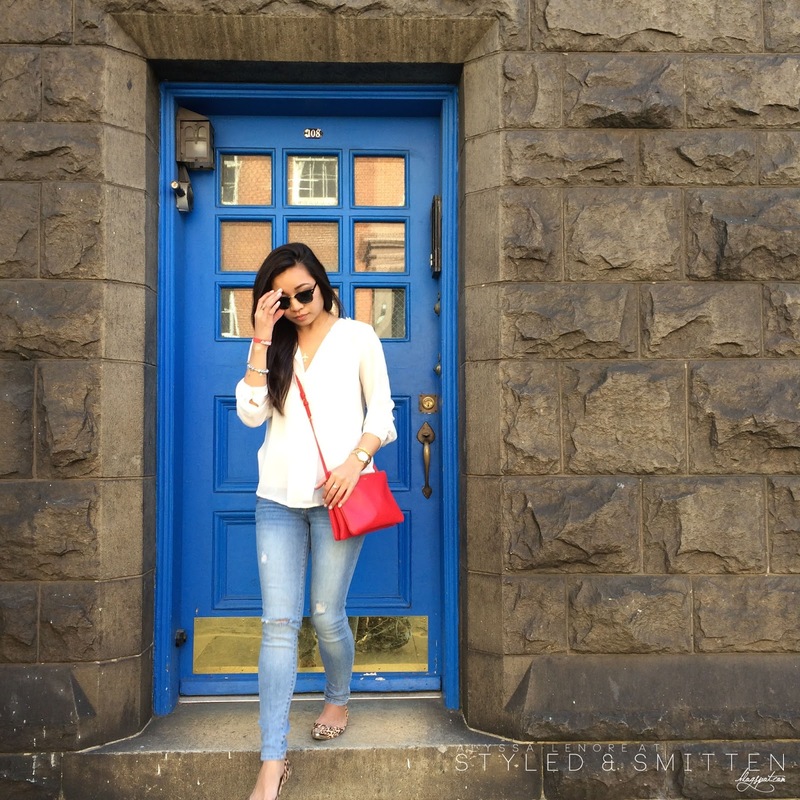 While walking, we saw this blue door near the park and it seemed to be the perfect spot to take a picture of my outfit. I love the way the red just pops. My sunglasses are the foldable Ray-Ban Clubmasters and I purchased them at Sunglass Hut during one of the Valentine's Day promotions. I love myself a good discount! Finding the time to do outfit posts is something I really want to improve on. These were taken with my iPhone 5S. I just ordered a new lens for my SLR that I have every intention of making good use of. I really hope that once school is over, I can do more outfit posts. See below for all the links to these pieces and similar items as well! Thanks for reading!